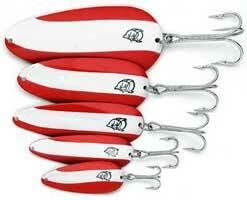 Home Articles and Tips What Make A Lure Great? Or a great lure? That’s a question that leaves many amateur anglers scratching their heads all over the world? Is it the actual lure design? Is it because it has caught you fish when all other lures have failed? Is it because it has a special patented design that nothing else has? Is it because it is made of composite materials only found in the space shuttle? Is it because you’ve never lost that lure or is it because it is affordable and you can easily stock it year after year in your tackle box? To be quite honest it’s probably a combination of all of the above and the debate over which lure is best will rage on through the centuries. Fishing lures come in a million different shapes and sizes and you as an angler can truthfully make the decision on your own. While many will say ‘Yes..this is the greatest lure on the planet’ we can’t make that choice for you but what we can do is suggest some great picks that over the years have proven themselves in various ways. Any walleye angler in the northern hemisphere will tell you that in their tackle box is probably a wide assortment of curly tail grubs in various colours and jig heads in assorted weights and sizes. Absolutely nothing else says northern Ontario freshwater fishing like the old grub and jig. So what exactly makes this lure great? As mentioned in the opening sentence it is a tried and true walleye slayer. makes this lure great in Ontario lakes and rivers. 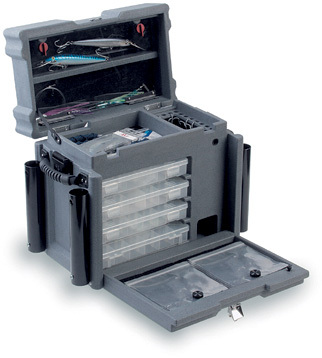 The grub jig isn’t just relegated to walleye fishing. Smallmouth Bass, Largemouth Bass and Northern Pike will also strike on it. Just remember when fishing in remote Ontario lakes for walleye it’s also a good idea to run a good leader just in case a toothy pike decides to strike. Without it in many cases you’ll just be left reeling in empty line. Who hasn’t as a kid growing up seen grandpa or Uncle George pull out this time tested fishing lure. Many remember the first white and red flash as it darted through the water and wished that they had enough Canadian Tire money in Dad’s jar to gleefully run to the store to purchase 2 or 3 of these magical fish tamers. I still remember it like yesterday as my dad hoisted my first Lake Trout into the boat on an autumn Muskoka lake while a long forgotten picture in my basement still shows that red and white stripe dangling from the mouth of my first ever 'Laker'. A favorite for trolling and also a favorite for Northern Pike the red and white Dardevle spoon is definitely a classic and isn’t at anytime about to show its age. Definitely still one of my go to lures when nothing else is producing. Coming in 4 distinct colours, white, yellow, chartreuse and orange the French bladed Mepps #4 in my opinion is a masterpiece of angling precision. Proven effective for Largemouth Bass, Trout and the occasional Smallmouth bass they are a given for medium to large sized pike. Coming in 2 variations with the non dressed version shown I will always swear by a fully dressed #4 Black Fury in chartreuse on a hot summer day. The secret to the success with the Black Fury is in the precision spinning and the attention to detail from the clevis right down to the buck tail. A lure for many species and all kinds of conditions they are very hard to come by in the dressed version as of late and many have taken to the internet to obtain these golden boys of angling. While we’ve touched on a few softwater favorites it’s only fair to discuss one that has proven itself year after year with the hard water crowd. Pop your head into most northern Ontario ice huts on a lake with walleye and you’ll probably find an angler jigging a Swedish pimple close to the bottom. Its overall design and variety of weights coupled with a minnow tip make this an all time favorite with the walleye crowd. Over the last few years many new colours have surfaced from a variety of manufacturers and are readily available at most local tackle shops. 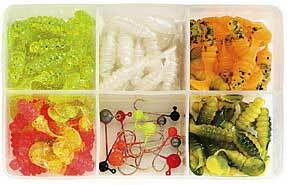 Having a few different colours to choose from always increases your odds and we like the ¼ ounce variety. If the fish are fickle then we downsize to a small 1/10 ounce rigged with a smaller minnow. 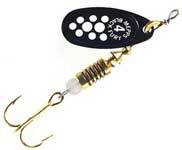 This ice fishing season don’t forget about this lure before you head out onto your favorite Ontario lake. Check back periodically while we review a few more of our favorite lures.